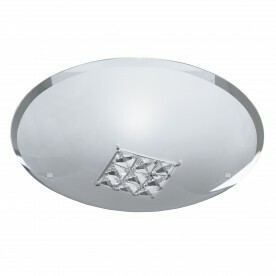 This Vesta LED Flush Light with Chrome Rim and Crystal Inner Decoration is intricate and elegant. 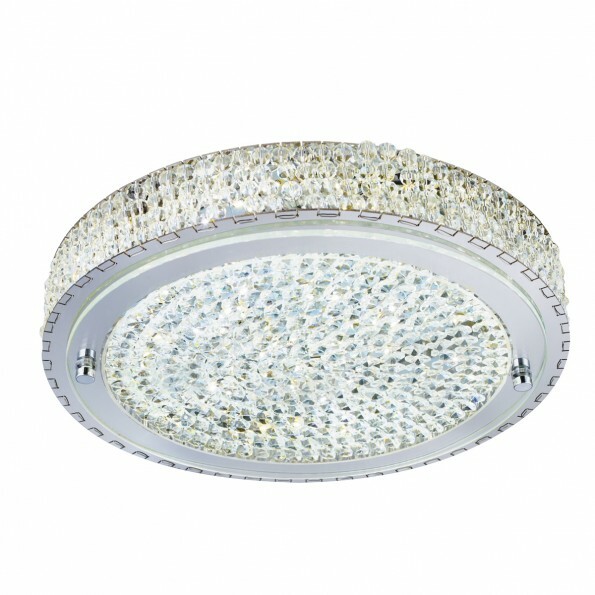 The polished chrome finish ring around the outside of the shade encompasses the plethora of intricate crystal decoration at its centre. The flush fitting is illuminated by the latest energy saving LED technology, and the light bounces off the clear crystal balls to make the entire piece sparkle beautifully when it's turned on.